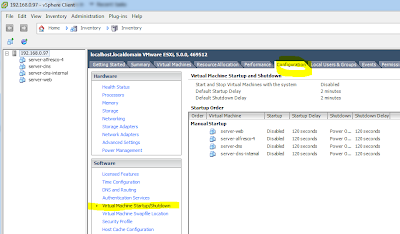 After you have your virtual servers installed on an ESXi 5 server you will probably want to set up how they boot up if and when ESXi itself reboots. 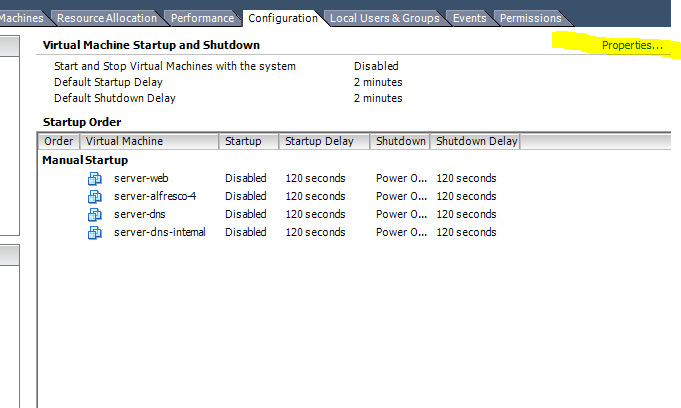 The default is to do nothing, which would result in all your VMs being off after a reboot of the ESXi box. Here is how you fix that. 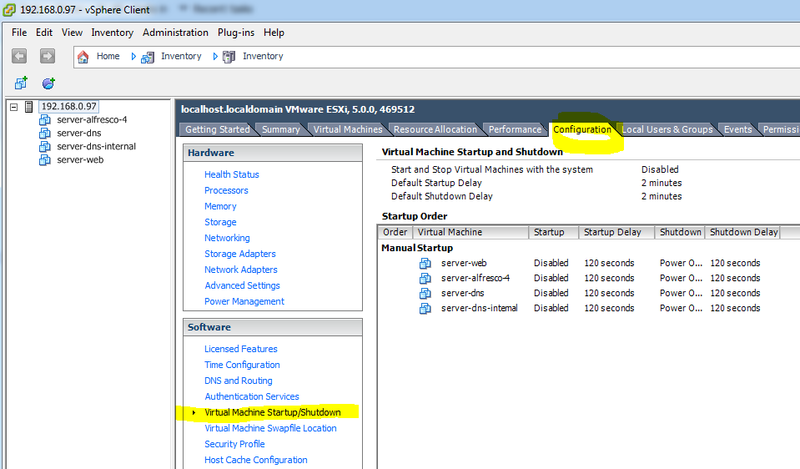 Open up VSphere Client and login to your ESXi server. 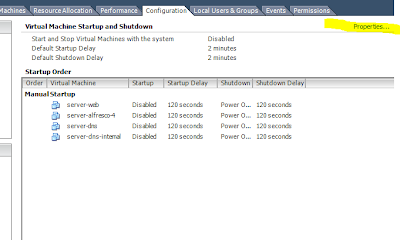 From here click on the Configuration tab then click on the “Virtual Machine Startup/Shutdown” button on the lower left. Now click on properties in the upper right. Then I updated my seconds to 60 seconds. 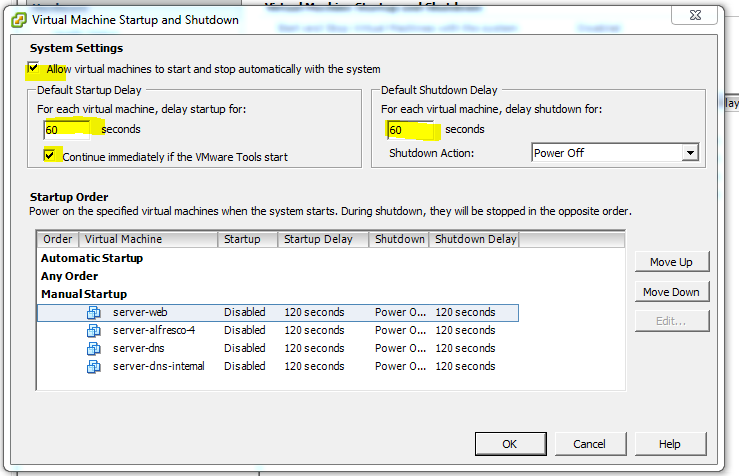 Next select the VM you want to automatically boot up after an ESXi reboot and click “Move Up” until the server is in the “Automatic Startup” sections. Do this with all your server and arrange them in the order you want them started up. Here I set mine up to start up my DNS servers first before it starts up my web and alfresco server. Don’t forget to click OK. And you are done.